This 8mm RGB LED (Red Green Blue) with four pins. Triple output one for each color with a common cathode. 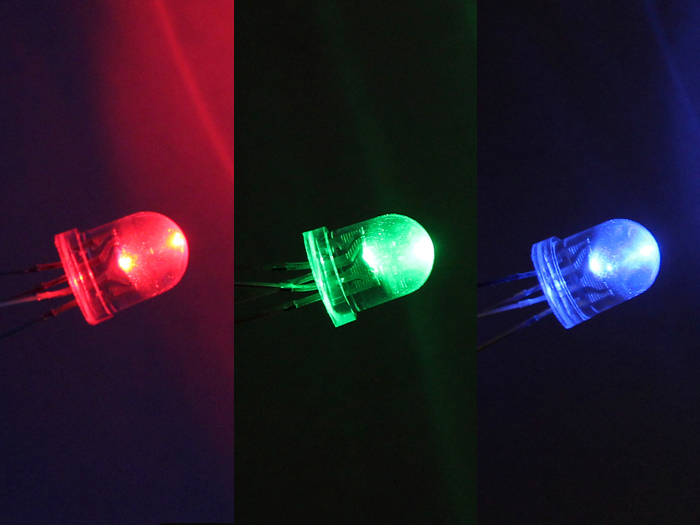 This LED can be used for three status indicators or pulse width modulates all three and gets mixed colors! Please note that this is a pack included 10 units 8mm RGB LEDs. RGB, not only single color. You can get the 8mm RGB Led lamp common anode datasheet, they are very similar.